Mark McDermott has nearly 30 years experience in the commercial and corporate real estate industry serving major corporations and healthcare organizations. Mark has in-depth expertise representing clients with a broad range of strategic and tactical real estate requirments including leased space acquisitions, developer selection and build-to-suit representation, consolidations, monetization of non-core assets and overall portfolio optimization. Mr. McDermott has advised many healthcare organizations on their real estate strategies ranging in size from sole practioniers to multi-hospital health systems. Mark has served as co-city leader for the Indianapolis office of Trammell Crow Company prior to its acquisition by CBRE. 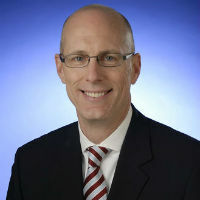 In his leadership role at Trammell Crow Company and as a Senior Vice President at CBRE Mark provided strategic real estate services to many national and local corporations including Eli Lilly and Company and Indiana University Health. Prior to that, he was Director of Corporate Real Estate for Anthem Insurance Company (now Wellpoint) the nations largest healthcare benefits provider. While at Anthem Mark had national responsibility for strategic planning and managment of all corporate real estate assets and real estate transactions, leased and owned.